2. Athletes may compete with only one partner per event. Doubles and mixed doubles are classified as events. Therefore, athletes may not compete in more than one age division for doubles or mixed doubles. 3. 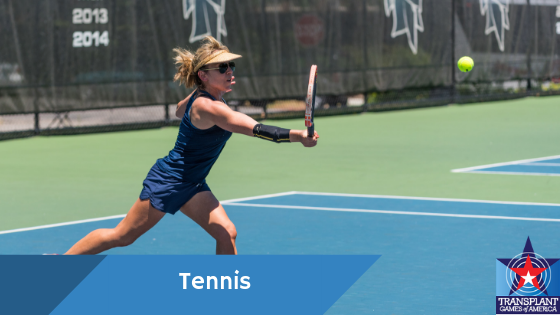 The age category of competition for doubles and mixed doubles will be determined by the younger age of the two partners the day of Opening Ceremony – July 18, 2020. 2. Ties at seven games will be resolved using a 12-point tie-break (first to 7, must win by 2 points). 1. Singles- Medals will be awarded to first, second, and third by age group and gender. 2. Doubles (Male/Male or Female/Female)- First, second, and third by age group and gender. 3. Mixed Doubles (Male/Female)- First, second, and third (M/F) by age group. 1. Players must bring their own racquets. 2. Balls will be provided (Penn Championship). 3. Designated team captains will submit doubles team names at check-in. Doubles team competitors must be pre-registered to compete in the event. 4. Team captains may NOT submit doubles participants that are not pre-registered for scheduled doubles event. The United States Tennis Association rules will apply (www.usta.com). With some modifications. Once an event is completed and results are available, tennis staff must record all competitors and scores to the appropriate system/documents. When electronic scoring is being utilized a manual backup system must be in place to record results.